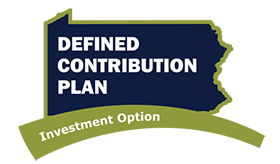 Commonwealth of Pennsylvania Employees now have several different ways to save for retirement. Provides you with a pension or guaranteed monthly payments for life. Available to employees hired before 1/1/19 and certain law enforcement and security positions after. Provides you with a combined retirement benefit, which includes a pension and investment plan. Default retirement plan for most employees hired after 1/1/19. plan with tax deferred savings. Available to most active employees. 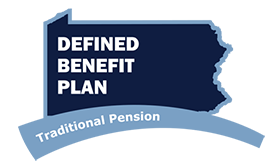 Established in 1923, the Pennsylvania State Employees' Retirement System is one of the nation's oldest and largest statewide retirement plans for public employees. We are proud to serve you and thank you for your work to make Pennsylvania great. New members can use this website to learn about your retirement benefit, particularly some choices you need to make when you're first hired. Active members can run estimates to see how your retirement benefit grows as your years of service and salary change. Members who are getting ready to retire can read about payment options and get a check list for your counseling session. 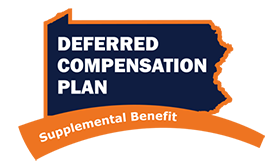 Retired members can get duplicate tax forms and click through to the Pennsylvania Employees Benefit Trust Fund - the PEBTF - for more about your health care. Estimate your future retirement benefit or the federal tax withholding from your current annuity. Provide your e-mail address to get member updates, notice of board meetings, press releases, and more. Contact SERS with questions about your specific plan or fill out our contact form for general questions. HARRISBURG – The board of the Pennsylvania State Employees’ Retirement System, meeting here today, engaged a consultant to explore investment function consolidation opportunities with Pennsylvania PSERS and directed staff to begin work to meet the objectives outlined in recommendations from the state’s Public Pension Management and Asset Investment Review Commission. Testifying before the State House Appropriations Committee today, Executive Director Terrill J. Sanchez and Chief Investment Officer Bryan Lewis will discuss the agency's budget, operations, and investments. In conjunction with the budget hearing, SERS released detailed information about the fund's 2018 investment performance, member demographics, actuarial information, and employer funding projections in its 2019 Supplemental Budget Book. Key data is provided in a budget handout that includes the budget highlights, Snapshot, 2018 retirement payments by county map, and funding explanation. 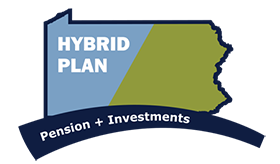 HARRISBURG – The board of the Pennsylvania State Employees’ Retirement System, meeting here today, moved to invest up to $625 million for the SERS Defined Benefit Plan. On Friday, we mailed your 2018 statement directly from our print and mail vendor in Claysburg, PA. Your 2018 statement will also be available in your online member services account next week. Even if you are many years away from retirement, your statement provides information that will help you understand your benefit and how it grows. Your 2018 statement details the service credit you earned, contributions you made, and interest you earned on your contributions in 2018 and over the course of your SERS membership. If you are eligible for a monthly pension, or in other words "vested" in the system, your statement will include estimates of retirement benefits calculated to several retirement options. Please review your annual statement for accuracy and keep it with your other important financial documents. If you do not receive your member statement by March 8, 2019, please contact a SERS Retirement Counselor at 1.800.633.5461. If you would like to receive member updates directly to your e-mail, sign up here.